Making matters worse are the two strange men responsible for the carnage. They want The Seals of Abgal and insist Sebastian is in possession of it. This is a tale about a boy and his dog, about bullies and soggy soup bones, and about finding courage in the unlikeliest of places. I remember the fear that goes with being bullied. A palpable fear that is both pervasive and unrelenting, even when you do stand up for yourself. This is a story about finding courage despite that fear. In writing this story I tried to capture that emotional turmoil honestly without glamorizing it or making it sound easy. I hope I succeeded in doing so. The story is fit for all ages. Or free if you subscribe to my newsletter. Kōsa Press proudly presents: These Broken Worlds. Featuring stories by Woelf Dietrich, Pavarti K. Tyler, Jessica West, and M. J. Kelley, depicting a shared universe where humans aren’t alone. Their home world is gone, their planet cut from existence. They traveled eons searching for a new home. But their new home, Earth, was already taken. From quiet stories of longing and love to tales of tragic nuclear war and brutal inter-species conflict, these narratives portray sometimes startling snapshots of a new universe with an intensity that only flash fiction can convey. Each author’s unique stories enrich the shared, singular vision of a science fiction saga that is just beginning. 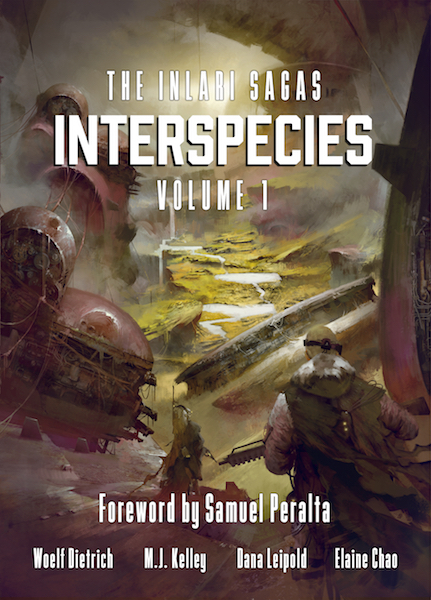 Includes a Foreword by Samuel Peralta, Amazon bestselling author, and creator/driving force behind the Future Chronicles series, whose own work has been recognized in Best American Science Fiction.